You’re ready to move forward but you’re unclear which direction to take. No one gave you a roadmap to help you move on after the upheaval of midlife divorce. I understand. Let me help you see your divorce as the launching pad for a new life that you’ll love more than you ever thought possible. I work with women who have experienced a midlife divorce and are ready to create a new life that they love. It’s daunting to start a new chapter in your life at any age, but especially at midlife. Let me help you write your new chapter and fill it with a vision you love, a sense of adventure, and an openness to new possibilities. I am a graduate of The Coaches Training Institute in California and its certification program (CPCC). I earned the designation of Professional Certified Coach (PCC) through the International Coach Federation (ICF). To find out more about me and how I can help you, click here. 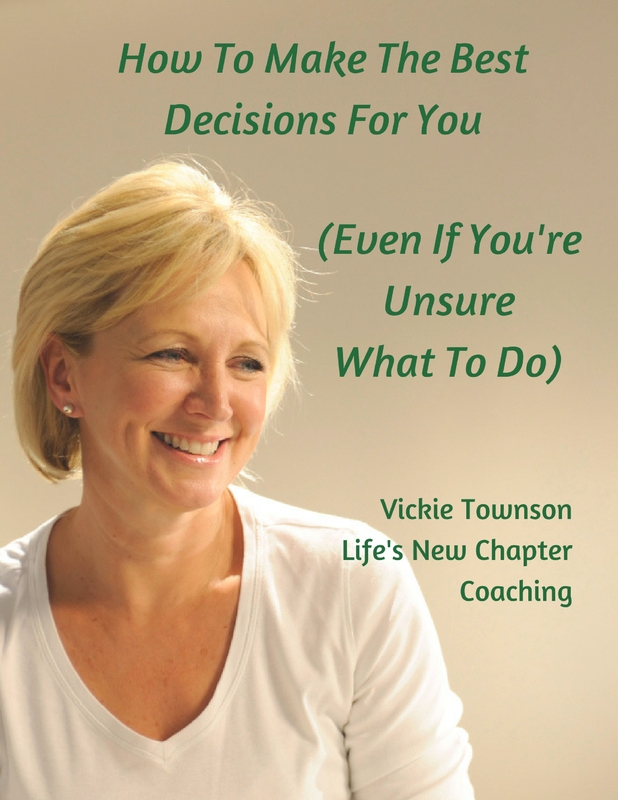 "Vickie was able to draw out my ideas and dreams and help me bring them into reality. I have a clearer vision of my future and am more focused and committed to creating it." T.T.